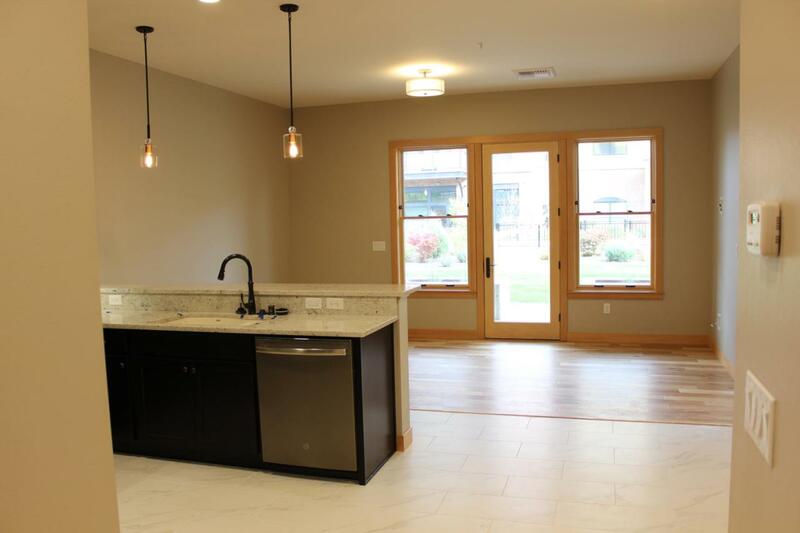 Polleys Square D at Old Sawmill District, Missoula's newest neighborhood, is complete! This ground floor 2-bedroom, 2-bath condo has an open floor plan, 10-foot ceilings, large windows, a great patio overlooking the courtyard, enhanced sound protection between units (walls and floors), an individual storage unit, and a reserved parking space next to building. There is also an elevator and a gas line to the patio for your barbecue! 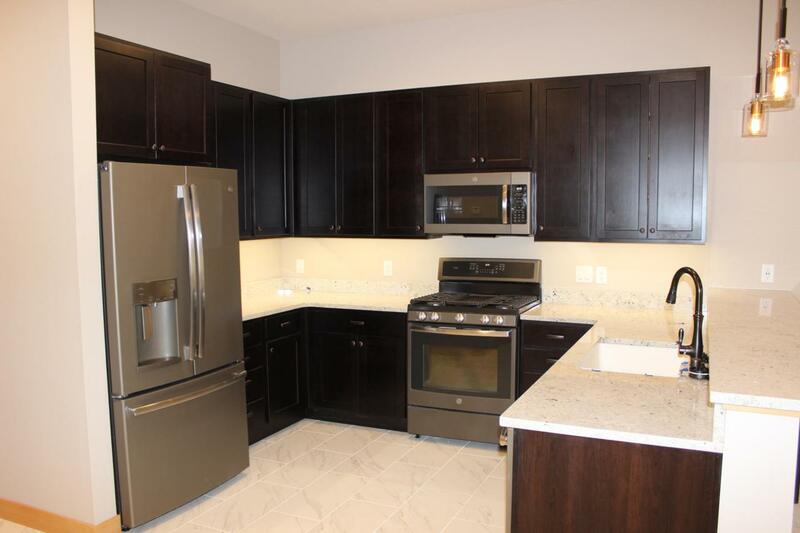 This condo has been finished in the Premium Finish Option, with 42'' cabinets, granite countertops, engineered hardwood and tile floors with stained wood trim and a beautiful tile walk-in shower with frameless glass shower door. Appliance package includes gas range, microwave/hood, French-door refrigerator, dishwasher,garbage disposal, washer and dryer. Green features include Energy Star Windows, increased insulation, highly reflective roof, dual flush toilets, water sense faucets, energy-efficient heat pump system for heating and air conditioning, high efficiency 50-gallon electric water heater in each unit, 0 VOC paint, KMCA certified cabinetry, and more. 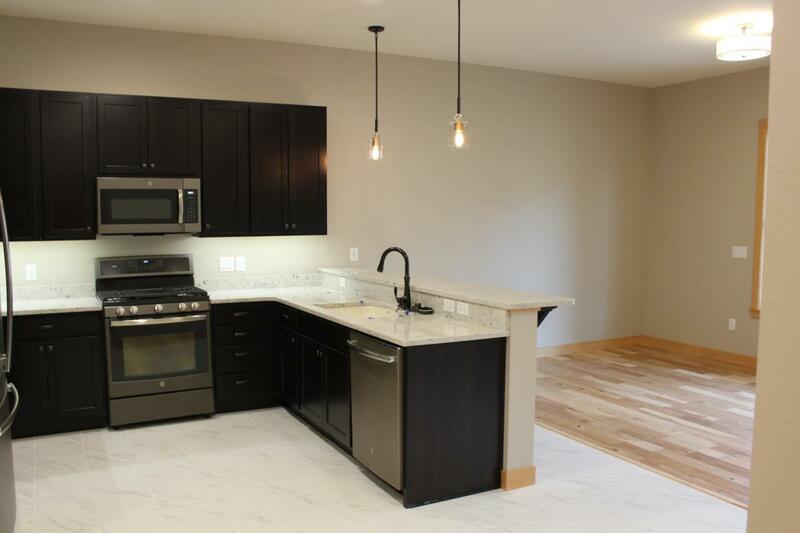 Located between Wyoming Street and the Milwaukee Trail, there is a fabulous private courtyard for the use of Polleys Square residents and guests. It even has a gas firepit! 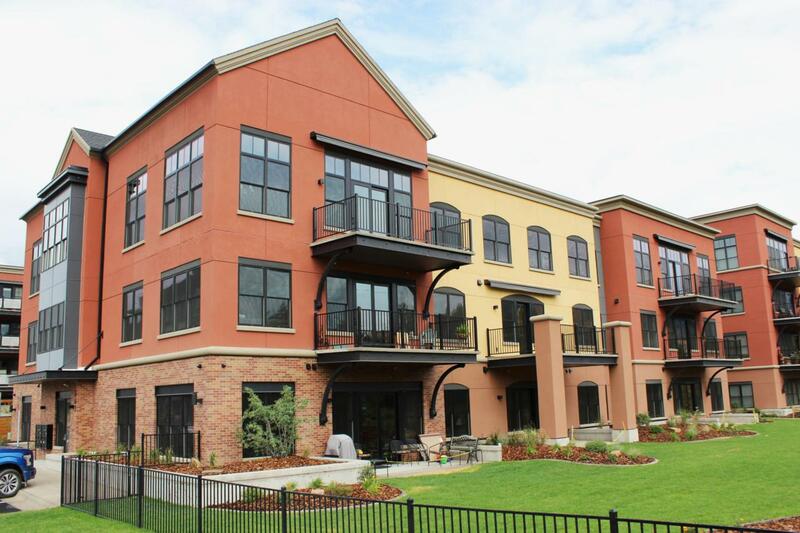 Old Sawmill District is a wonderful neighborhood to call home! The Osprey baseball stadium and event center is adjacent to the property as is Currents Aquatic Center. The property is also within close proximity to downtown Missoula and the University of Montana and is located right next to the hub of the Missoula trail system, offering miles of trails. Dog & Bicycle Bakery Caf, Brio Fitness, and C3 WorkLounge are open now, and there will be a gastropub (Sawmill Grille), a neighborhood market, personal care services, retail shops, and much more in the neighborhood. The new 14.5-acre Silver Park along the river is beautiful with lots of open green space, a pavilion, a picnic shelter, and small shelters along the Riverfront Trail. Call today for more information!